Many people are aware of Metalmorphosis, the 25-foot tall spinning and spitting metal head created by Czech sculptor David Černý. What if we told you that there's another giant head that's been in Charlotte two years longer than Metalmorphosis? The giant head on The Plaza is about 1/4 the size of but four times as creepy as Metalmorphosis. 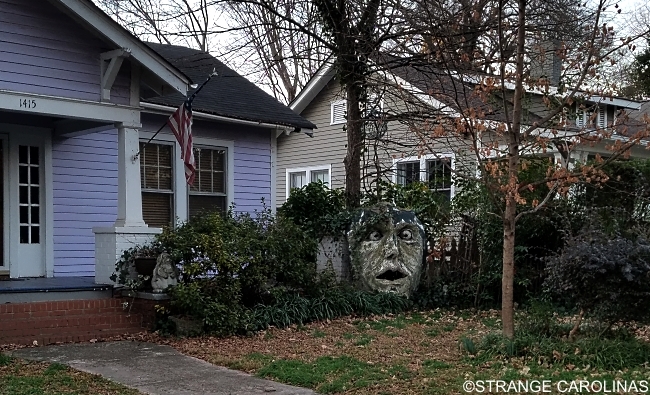 According to Creative Loafing, the giant head was used by a theater group called Moving Poets before James McGuire brought it home in October of 2005. We checked in with McGuire to get a little more info on the big head. He told us they call it The Giant Head and while it is slowly eroding, it still has a few years left. 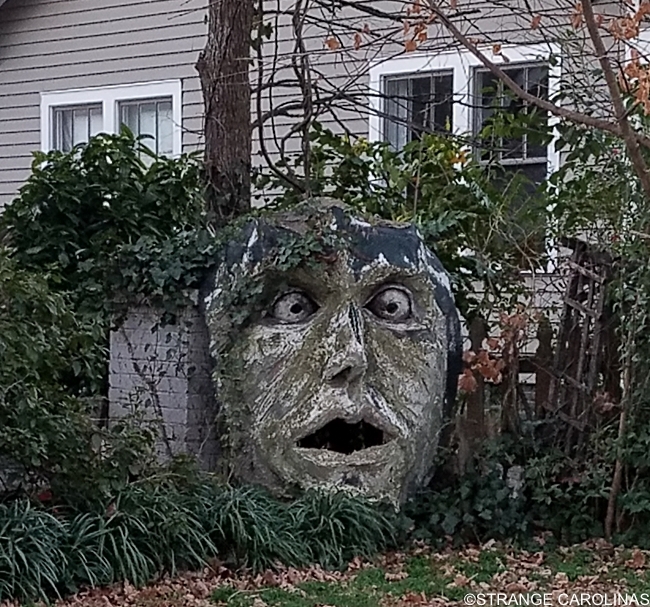 We also asked him what was the strangest thing a neighbor/friend/stranger has said about The Giant Head. A woman took a picture of it and put it in a landscaping idea book. A high school borrowed it for a Wizard Of Oz presentation for a couple months. A neighbor commented on how it might lower his property value.